Richard Parks undergoing tests on Island Peak in Nepal during his acclimatization period. Earlier this month, U.K. mountaineer Richard Parks prematurely abandoned his team’s expedition to the summit of Mount Everest in Nepal. He planned to ascend the peak without supplemental oxygen as part of Project Everest Cynllun, and take the highest-elevation blood sample and muscle biopsy ever collected. The project’s original goal was to examine the link between hypoxia and cognitive decline by examining human performance in low-oxygen environments, but its abrupt end has sparked questions of a different sort. Testing revealed that Parks had exceptionally high levels of red blood cells and a high hematocrit, the percentage of the blood’s mass made up of red blood cells. On one hand, this was a clue to Parks’s ability to function in low-oxygen conditions: “His brain was actually getting more oxygen than it would get at sea level,” Bailey says, despite the thin alpine atmosphere containing half the amount of oxygen found at lower elevations. But such high cell densities also put him at increased risk of a stroke or a heart attack. For this reason, the team decided to end the expedition on 3 May despite Parks outwardly seeming in perfectly good health. The project still managed to collect data for its original goal of examining the link between hypoxia and cognitive decline. Plus, Bailey hopes to plan a follow-up expedition at some point. But for now, there is more testing to be done back in the lab—and Parks’s unusual physiology has turned out to have implications not just for cognitive decline, but also more directly for would-be Everest climbers. Parks’s exceptionally strong response to altitude suggests that climbers could “overacclimatize,” Bailey says, or put themselves and others in danger by spending too much time at high altitudes in preparation for an ascent. That runs against the prevailing wisdom that thorough acclimatization is a necessity for any ascent without supplemental oxygen. Simian virus 40, a virus found in both monkeys and humans. No image credit. Viruses have eluded our best efforts to fight them off. They mutate much more quickly than bacteria, and most anti-viral drugs that do keep symptoms at bay need to be administered for the rest of a patient’s life. But now, researchers may have discovered a workaround: a macromolecule that’s swift and nimble enough to tackle virtually any virus that crosses its path. The scientists, from both IBM and the Institute of Bioengineering and Nanotechnology in Singapore, recently published their findings* in the journal Macromolecules. 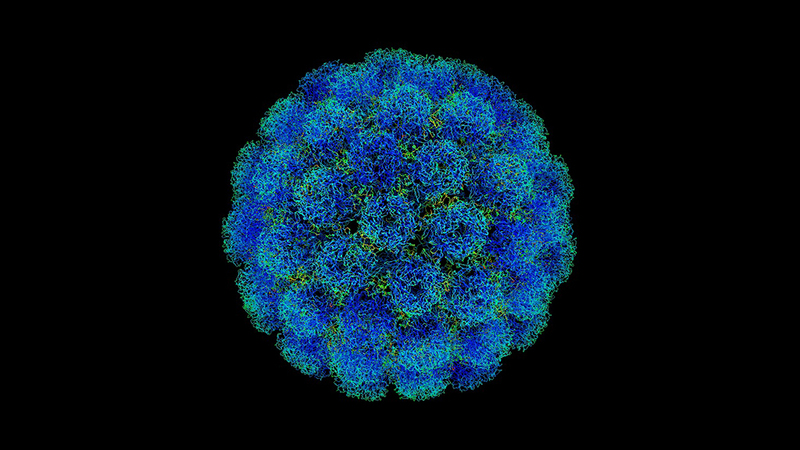 A group of researchers at IBM and the Institute of Bioengineering and Nanotechnology in Singapore sought to understand what makes all viruses alike. For their study, the researchers ignored the viruses’ RNA and DNA, which could be key areas to target, but because they change from virus to virus and also mutate, it’s very difficult to target them successfully. Instead, the researchers focused on glycoproteins, which sit on the outside of all viruses and attach to cells in the body, allowing the viruses to do their dirty work by infecting cells and making us sick. Using that knowledge, the researchers created a macromolecule, which is basically one giant molecule made of smaller subunits. This macromolecule has key factors that are crucial in fighting viruses. First, it’s able to attract viruses towards itself using electrostatic charges. Once the virus is close, the macromolecule attaches to the virus and makes the virus unable to attach to healthy cells. Then it neutralizes the virus’ acidity levels, which makes it less able to replicate. The researchers found that the molecules did in fact latch onto the a number of viruses’ glycoproteins (including those of the Ebola and dengue viruses) and reduced the number of viruses in their lab experiments. A sugar in the molecules was also able to bind to healthy immune cells that, in turn, destroyed the virus more efficiently. If the technique plays out as expected in further experiments, this lone molecule could someday be responsible for ridding humankind of the worst viral infections—from Ebola, to Zika, to the flu. That will take a while, though, and some scientists caution that universal antivirals may be dangerous, anyway—they could upset our immune systems in ways we don’t currently anticipate. Still, this macromolecule is a proof of concept that powerful antiviral drugs are not completely out of reach. These mitochondria, in red, are from the heart muscle cell of a rat. Mitochondria have been described as “the powerhouses of the cell” because they generate most of a cell’s supply of chemical energy. But at least one type of complex cell doesn’t need ’em, it turns out. Scientists have found a microbe that does something textbooks say is impossible: It’s a complex cell that survives without mitochondria. Mitochondria are the powerhouses inside eukaryotic cells, the type of complicated cell that makes up people, other critters and plants and fungi. All eukaryotic cells contain a nucleus and little organelles — and one of the most famous was the mitochondrion. “They were considered to be absolutely indispensable components of the eukaryotic cell and the hallmark of the eukaryotic cell,” says Anna Karnkowska, a researcher in evolutionary biology at the University of British Columbia in Vancouver. Karnkowska and her colleagues describe their new find in a study published* online Thursday in the journal Current Biology. This is a light micrograph of the microbe that evolutionary biologists say lives just fine without any mitochondria. Mitochondria have their own DNA, and scientists believe they were once free-living bacteria that got engulfed by primitive, ancient cells that were evolving to become the complex life forms we know and love today. 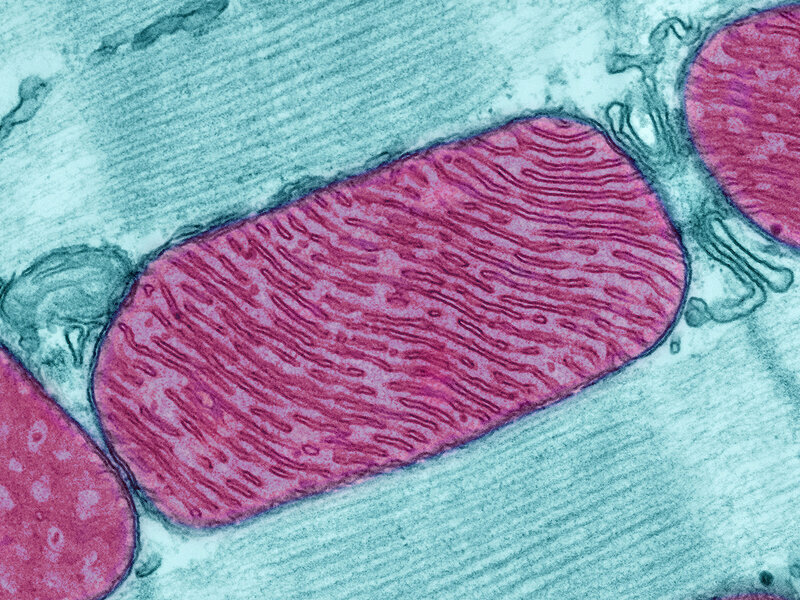 For decades, researchers have tried to find eukaryotic cells that don’t have mitochondria — and for a while they thought they’d found some. One example is Giardia, a human gut parasite that causes diarrhea. It was considered to be a kind of living fossil because it had a nucleus but didn’t seem to have acquired mitochondria. But additional studies on Giardia and other microbes showed that actually, the mitochondria were there. “It turned out that all of them actually had some kind of remnant mitochondrion,” says Karnkowska, who notes that mitochondria perform key jobs in the cell beyond just generating power. That kind of vestigial mitochondrion is what she expected to find when she was a researcher at Charles University in Prague and started investigating a particular gut microbe that had been isolated from a researcher’s pet chinchilla. What they learned is that instead of relying on mitochondria to assemble iron-sulfur clusters, these cells use a different kind of machinery. And it looks like they acquired it from bacteria. 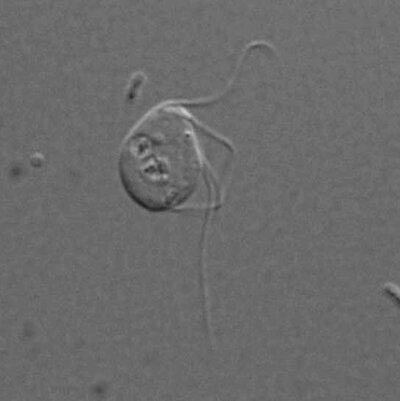 The researchers say this is the first example of any eukaryote that completely lacks mitochondria. “The observation is significant, in that it clearly demonstrates that a eukaryote can still be a eukaryote without having a mitochondrion,” he tells Shots via email. However, the results do not negate the idea that the acquisition of a mitochondrion was an important and perhaps defining event in the evolution of eukaryotic cells, he adds. That’s because it seems clear that this organism’s ancestors had mitochondria that were then lost after the cells acquired their non-mitochondrial system for making iron-sulfur clusters. “This is not the missing link of eukaryotic evolution,” agrees Mark Van Der Giezen, a researcher in evolutionary biochemistry at the University of Exeter in the United Kingdom. Still, he says, it is an example of how flexible life is. When exactly does an embryonic cell decide whether it will become part of the foetus, or part of the placenta? Scientists at the University of Cambridge and EMBL-EBI shed light on this important question by studying the development of mice embryos only four cells in size. The findings, published in Cell, have implications for the understanding of mammalian development. 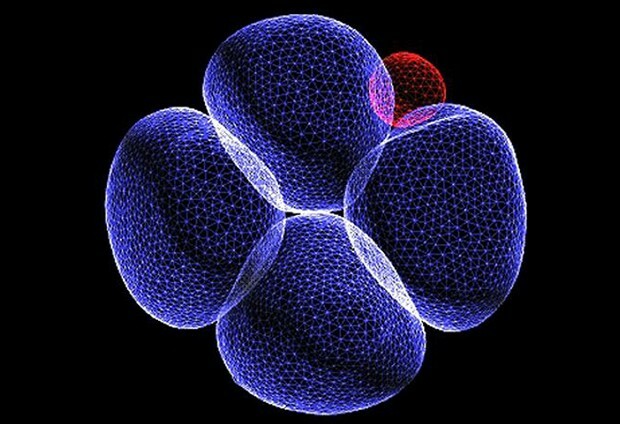 When an embryo first starts to develop, genetic factors influence whether its cells will become part of the supporting structure around a new organism, or part of the organism itself. Today’s study shows that seemingly identical cells in a two-day-old mouse embryo already begin to display subtle differences. Once an egg has been fertilised by a sperm, it divides several times to become a free-floating ball of stem cells. At first, these cells are ‘totipotent’, able to divide and give rise into any type of cell, placental or organismal. Some of those cells then switch to a ‘pluripotent’ state, in which their development is restricted to generating the cells of the whole body, rather than the placenta. Understanding that switching mechanism, and when it occurs, is the subject of intense research. The team used the latest sequencing technologies to understand embryo development in mice, looking at the activity of individual genes at a single-cell level. They showed that some genes in each of the four cells behaved differently. The activity of several genes in particular differed the most between cells. These genes form part of the ‘pluripotency network’: they are targeted by key pluripotency factors, including Sox2 and Oct4. The team showed that when activity of such genes is reduced, the activity of a master regulator, which directs cells to develop into the placenta, was increased. The research was funded by the Wellcome Trust, the European Molecular Biology Laboratory and Cancer Research UK. EMBL is Europe’s flagship laboratory for the life sciences, with more than 80 independent groups covering the spectrum of molecular biology. EMBL is international, innovative and interdisciplinary – its 1800 employees, from many nations, operate across five sites: the main laboratory in Heidelberg, and outstations in Grenoble; Hamburg; Hinxton, near Cambridge (the European Bioinformatics Institute), and Monterotondo, near Rome. Founded in 1974, EMBL is an inter-governmental organisation funded by public research monies from its member states. The cornerstones of EMBL’s mission are: to perform basic research in molecular biology; to train scientists, students and visitors at all levels; to offer vital services to scientists in the member states; to develop new instruments and methods in the life sciences and actively engage in technology transfer activities, and to integrate European life science research. Around 200 students are enrolled in EMBL’s International PhD programme. Additionally, the Laboratory offers a platform for dialogue with the general public through various science communication activities such as lecture series, visitor programmes and the dissemination of scientific achievements. In 2004, the British chemist Chris Dobson speculated that there might be a universal elixir out there that could combat not just alpha-synuclein for Parkinson’s but the amyloids caused by many protein-misfolding diseases at once. Remarkably, in that same year an Israeli scientist named Beka Solomon discovered an unlikely candidate for this elixir, a naturally occurring microorganism called a phage. Solomon, a professor at Tel Aviv University, made a serendipitous discovery one day when she was testing a new class of agents against Alzheimer’s disease. If it pans out, it might mark the beginning of the end of Alzheimer’s, Parkinson’s, and many other neurodegenerative diseases. It’s a remarkable story, and the main character isn’t Solomon or any other scientist but a humble virus that scientists refer to as M13. Alzheimer’s disease can cause brain tissues to atrophy, seen here in blue. No image credit. Among the many varieties of viruses, there is a kind that only infects bacteria. Known as bacteriophages, or just phages, these microbes are ancient (over three billion years old) and ubiquitous: they’re found everywhere from the ocean floor to human stomachs. The phage M13’s goal is to infect just one type of bacteria, Escherichia coli, or E. coli, which can be found in copious amounts in the intestines of mammals. Like other microorganisms, phages such as M13 have only one purpose: to pass on their genes. In order to do this, they have developed weapons to enable them to invade, take over, and even kill their bacterial hosts. Before the advent of antibiotics, in fact, doctors occasionally used phages to fight otherwise incurable bacterial infections. To understand Solomon’s interest in M13 requires a little background about her research. Solomon is a leading Alzheimer’s researcher, renowned for pioneering so-called immunotherapy treatments for the disease. Immunotherapy employs specially made antibodies, rather than small molecule drugs, to target the disease’s plaques and tangles. As high school students learn in biology class, antibodies are Y-shaped proteins that are part of the body’s natural defense against infection. These proteins are designed to latch onto invaders and hold them so that they can be destroyed by the immune system. But since the 1970s, molecular biologists have been able to genetically engineer human-made antibodies, fashioned to attack undesirable interlopers like cancer cells. In the 1990s, Solomon set out to prove that such engineered antibodies could be effective in attacking amyloid-beta plaques in Alzheimer’s as well. In 2004, she was running an experiment on a group of mice that had been genetically engineered to develop Alzheimer’s disease plaques in their brains. She wanted to see if human-made antibodies delivered through the animals’ nasal passages would penetrate the blood-brain barrier and dissolve the amyloid-beta plaques in their brains. Seeking a way to get more antibodies into the brain, she decided to attach them to M13 phages in the hope that the two acting in concert would better penetrate the blood-brain barrier, dissolve more of the plaques, and improve the symptoms in the mice—as measured by their ability to run mazes and perform similar tasks. Solomon divided the rodents into three groups. She gave the antibody to one group. The second group got the phage-antibody combination, which she hoped would have an enhanced effect in dissolving the plaques. And as a scientific control, the third group received the plain phage M13. The following year, Jonathan Solomon—who’d just completed more than a decade in Israel’s special forces, during which time he got a BS in physics and an MS in electrical engineering—traveled to Boston to enroll at the Harvard Business School. While he studied for his MBA, Jonathan kept thinking about the phage his mother had investigated and its potential to treat terrible diseases like Alzheimer’s. 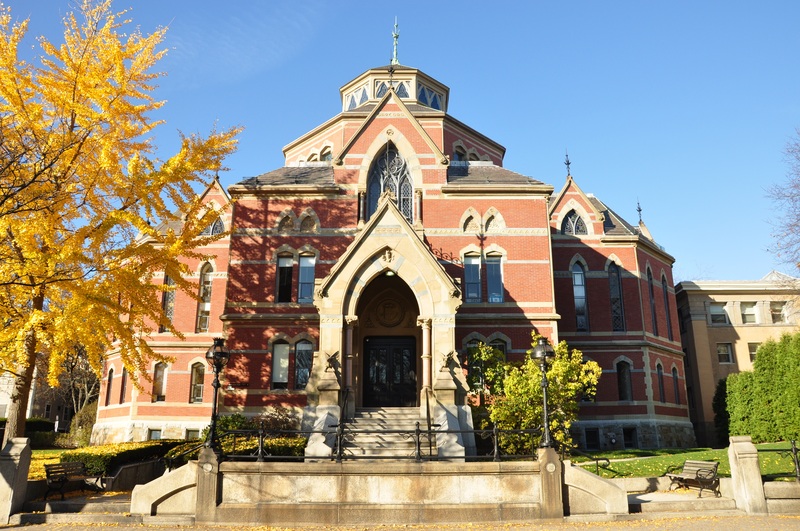 At Harvard, he met many brilliant would-be entrepreneurs, including the Swiss-educated Hampus Hillerstrom, who, after studying at the University of St. Gallen near Zurich, had worked for a European biotech venture capital firm called HealthCap. In 2007, with $150,000 in seed money contributed by family members, a new venture, NeuroPhage Pharmaceuticals, was born. After negotiating a license with the University of Tel Aviv to explore M13’s therapeutic properties, Solomon and Hillerstrom reached out to investors willing to bet on M13’s potential therapeutic powers. By January 2008, they had raised over $7 million and started hiring staff. Fisher set out to repeat Beka Solomon’s mouse experiments and found that with some difficulty he was able to show the M13 phage dissolved amyloid-beta plaques when the phage was delivered through the rodents’ nasal passages. 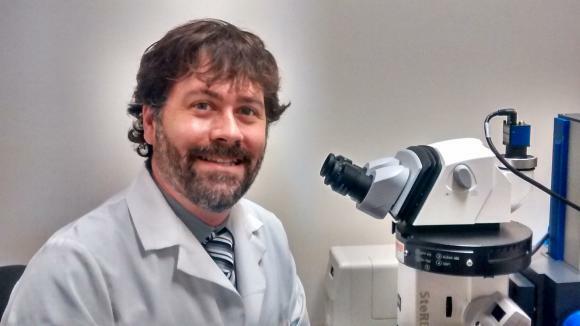 Over the next two years, Fisher and his colleagues then discovered something totally unexpected: that the humble M13 virus could also dissolve other amyloid aggregates—the tau tangles found in Alzheimer’s and also the amyloid plaques associated with other diseases, including alpha-synuclein (Parkinson’s), huntingtin (Huntington’s disease), and superoxide dismutase (amyotrophic lateral sclerosis). The phage even worked against the amyloids in prion diseases (a class that includes Creutzfeldt-Jakob disease). Fisher and his colleagues demonstrated this first in test tubes and then in a series of animal experiments. Astonishingly, the simple M13 virus appeared in principle to possess the properties of a “pan therapy,” a universal elixir of the kind the chemist Chris Dobson had imagined. Boston is a town with enormous scientific resources. 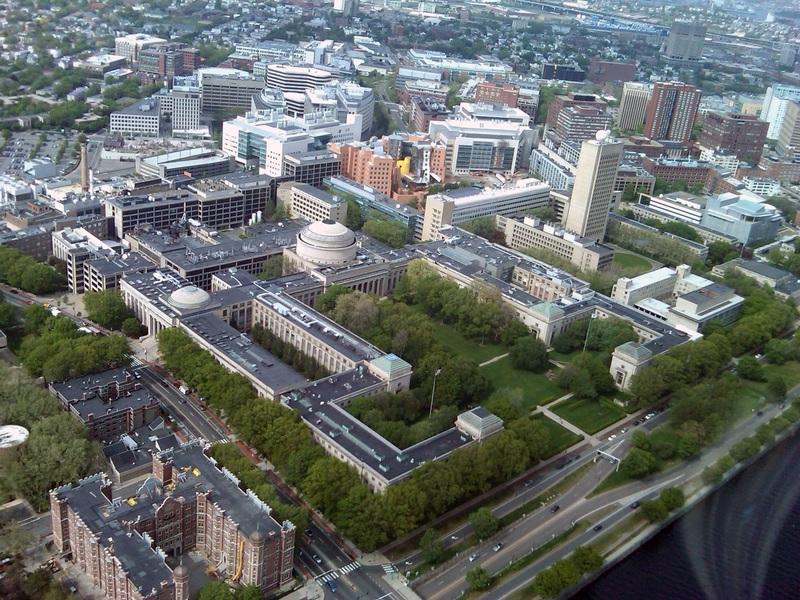 Less than a mile away from NeuroPhage’s offices was MIT, a world center of science and technology. In 2010, Fisher recruited Rajaraman Krishnan—an Indian postdoctoral student working in an MIT laboratory devoted to protein misfolding—to investigate the M13 puzzle. Krishnan says he was immediately intrigued. The young scientist set about developing some new biochemical tools to investigate how the virus worked and also devoured the scientific literature about phages. It turned out that scientists knew quite a lot about the lowly M13 phage. Virologists had even created libraries of mutant forms of M13. By running a series of experiments to test which mutants bound to the amyloid and which ones didn’t, Krishnan was able to figure out that the phage’s special abilities involved a set of proteins displayed on the tip of the virus, called GP3. “We tested the different variants for examples of phages with or without tip proteins, and we found that every time we messed around with the tip proteins, it lowered the phage’s ability to attach to amyloids,” Krishnan says. Virologists, it turned out, had also visualized the phage’s structure using X-ray crystallography and nuclear magnetic resonance imaging. Based on this analysis, those microbiologists had predicted that the phage’s normal mode of operation in nature was to deploy the tip proteins as molecular keys; the keys in effect enabled the parasite to “unlock” E. coli bacteria and inject its DNA. Sometime in 2011, Krishnan became convinced that the phage was doing something similar when it bound to toxic amyloid aggregates. The secret of the phage’s extraordinary powers, he surmised, lay entirely in the GP3 protein. Having proved the virus’s secret lay in a few proteins at the tip, Fisher, Krishnan, and their colleagues wondered if they could capture the phage’s amyloid-busting power in a more patient friendly medicine that did not have to be delivered by epidural. So over the next two years, NeuroPhage’s scientists engineered a new antibody (a so-called fusion protein because it is made up of genetic material from different sources) that displayed the critical GP3 protein on its surface so that, like the phage, it could dissolve amyloid plaques. Fisher hoped this novel manufactured product would stick to toxic aggregates just like the phage. By 2013, NeuroPhage’s researchers had tested the new compound, which they called NPT088, in test tubes and in animals, including nonhuman primates. It performed spectacularly, simultaneously targeting multiple misfolded proteins such as amyloid beta, tau, and alpha-synuclein at various stages of amyloid assembly. According to Fisher, NPT088 didn’t stick to normally folded individual proteins; it left normal alpha-synuclein alone. It stuck only to misfolded proteins, not just dissolving them directly, but also blocking their prion-like transmission from cell to cell: “It targets small aggregates, those oligomers, which some scientists consider to be toxic. And it targets amyloid fibers that form aggregates. But it doesn’t stick to normally folded individual proteins.” And as a bonus, it could be delivered by intravenous infusion. Will it work in humans? While NPT088, being made up of large molecules, is relatively poor at penetrating the blood-brain barrier, the medicine persists in the body for several weeks, and so Fisher estimates that over time enough gets into the brain to effectively take out plaques. The concept is that this antibody could be administered to patients once or twice a month by intravenous infusion for as long as necessary. NeuroPhage must now navigate the FDA’s regulatory system and demonstrate that its product is safe and effective. So far, NPT088 has proved safe in nonhuman primates. But the big test will be the phase 1A trial expected to be under way this year. This first human study proposed is a single-dose trial to look for any adverse effects in healthy volunteers. If all goes well, NeuroPhage will launch a phase 1B study involving some 50 patients with Alzheimer’s to demonstrate proof of the drug’s activity. Patients will have their brains imaged at the start to determine the amount of amyloid-beta and tau. Then, after taking the drug for six months, they will be reimaged to see if the drug has reduced the aggregates below the baseline. NeuroPhage’s rise is an extraordinary example of scientific entrepreneurship. While I am rooting for Solomon, Hillerstrom, and their colleagues, and would be happy to volunteer for one of their trials (I was diagnosed with Parkinson’s in 2011), there are still many reasons why NeuroPhage has a challenging road ahead. Biotech is a brutally risky business. At the end of the day, NPT088 may prove unsafe. And it may still not be potent enough. 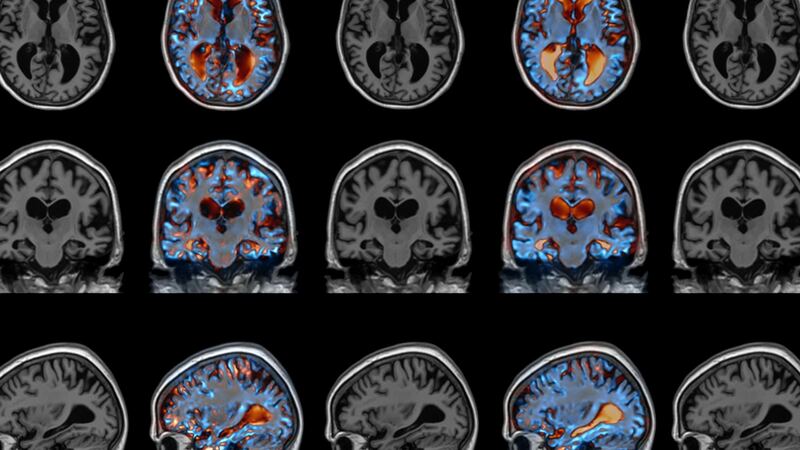 Even if NPT088 significantly reduces amyloid beta, tau, and alpha-synuclein, it’s possible that this may not lead to measurable clinical benefits in human patients, as it has done in animal models. But if it works, then, according to Solomon, this medicine will indeed change the world: “A single compound that effectively treats Alzheimer’s and Parkinson’s could be a twenty billion-dollar-a-year blockbuster drug.” And in the future, a modified version might also work for Huntington’s, ALS, prion diseases like Creutzfeldt-Jakob disease, and more. Eliminating worn-out cells extends the healthy lives of lab mice — an indication that treatments aimed at killing off these cells, or blocking their effects, might also help to combat age-related diseases in humans. As animals age, cells that are no longer able to divide — called senescent cells — accrue all over their bodies, releasing molecules that can harm nearby tissues. Senescent cells are linked to diseases of old age, such as kidney failure and type 2 diabetes. To test the cells’ role in ageing, Darren Baker and Jan van Deursen, molecular biologists at the Mayo Clinic in Rochester, Minnesota, and their colleagues engineered mice so that their senescent cells would die off when the rodents were injected with a drug. Mice whose senescent cells were killed off over six months were healthier, in several ways, than a control group of transgenic mice in which these cells were allowed to build up. Their kidneys worked better and their hearts were more resilient to stress, they tended to explore their cages more and they developed cancers at a later age. Eliminating senescent cells also extended the lifespans of the mice by 20–30%, Baker and van Deursen report in Nature on February 3. The research is a follow-up to a 2011 study, in which their team also found that eliminating senescent cells delayed the onset of diseases of old age in mice, although that work had been done in mice which had a mutation that causes premature ageing. download mp4 video here . In the hope of discovering therapies for diseases of old age, researchers are already looking for drugs that can directly eliminate senescent cells or stop them from churning out factors that damage neighbouring tissue. They include Baker and van Deursen, who have have licensed patents to develop such drugs to a company van Deursen has co-founded. Despite seeming passive, plants wage wars with each other to outgrow and absorb sunlight. If a plant is shaded by another, it becomes cut off from essential sunlight it needs to survive. To escape this deadly shade, plants have light sensors that can set off an internal alarm when threatened by the shade of other plants. Their sensors can detect depletion of red and blue light (wavelengths absorbed by vegetation) to distinguish between an aggressive nearby plant from a passing cloud. Scientists at the Salk Institute have discovered a way by which plants assess the quality of shade to outgrow menacing neighbors, a finding that could be used to improve the productivity of crops. The new work, published December 24, 2015 in Cell, shows how the depletion of blue light detected by molecular sensors in plants triggers accelerated growth to overcome a competing plant. “With this knowledge and discoveries like it, maybe you could eventually teach a plant to ignore the fact that it’s in the shade and put out a lot of biomass anyway,” says Joanne Chory, senior author and director of Salk’s Plant Molecular and Cellular Biology. The new work upends previously held notions in the field. It was known that plants respond to diminished red light by activating a growth hormone called auxin to outpace its neighbors. However, this is the first time researchers have shown that shade avoidance can happen through an entirely different mechanism: instead of changing the levels of auxin, a cellular sensor called cryptochrome responds to diminished blue light by turning on genes that promote cell growth. This revelation could help researchers learn how to modify plant genes to optimize growth to, for example, coerce soy or tomato crops (which are notoriously fickle) grow more aggressively and give a greater yield even in a crowded, shady field. The focus of the team’s research efforts was cryptochromes, blue light-sensitive sensors that are responsible for telling a plant when to grow and when to flower. Cryptochromes were first identified in plants and later found in animals, and in both organisms they are associated with circadian rhythm (the body’s biological clock). The protein’s role in sensing depletion of blue light had been known, but this study is the first to show how cryptochromes promote growth in a shaded environment. The team placed normal and mutant Arabidopsis plants in a light-controlled room where blue light was limited. The mutant plants lacked either cryptochromes or a PIF transcription factor, a type of protein that binds to DNA to control when genes are switched on or off. PIFs typically make direct contact with red light sensors, called phytochromes, to initiate shade avoidance growth. The researchers compared the responses of the mutant and normal plants in the varying blue light conditions by monitoring the growth rate of the stems and looking at contacts between cryptochromes, PIFs and chromosomes. The next step for the work is to understand how to manipulate the growth response. “Ultimately, we could help farmers grow crops very close together by changing how plants put out leaves, how fast the leaves grow and at what angles the leaves grow relative to each other and the stem. This will help increase yield in the next few generations of crop plants,” says Chory, who is also a Howard Hughes Medical Institute investigator and holds the Howard H. and Maryam R. Newman Chair in Plant Biology. Other authors on the paper were Shao-shan Carol Huang, Mark Zander, Benjamin Cole, Jonathan Hetzel, Pedro Reis, Kazumasa Nito, Joseph Nery and Joseph Ecker of the Salk Institute; Karin Ljung of the Umeå Plant Science Centre in the Swedish University of Agricultural Sciences; and Priya Sridevi of the University of California, San Diego. The work was supported by the NIH, Rose Hills Foundation, the H.A. and Mary K. Chapman Charitable Trust, DOE, the NSF, the Gordon and Betty Moore Foundation and the Howard Hughes Medical Institute. Animals from tiny worms to human beings have a love-hate relationship with fats and lipids. Cholesterol is a famous example of how they are both essential for health and often have a role in death. A new study reveals another way that may be true. Researchers working in nematodes and mice found that a naturally occurring protein responsible for transporting fats like cholesterol around the body also hinders essential functions in cells that increase life span. When the scientists genetically blocked production of the worms’ yolk lipoprotein, called vitellogenin (VIT), the nematodes lived up to 40 percent longer, the study showed. Mice, humans and other mammals produce a directly analogous protein called apolipoprotein B (apoB), and therapies have been developed to reduce apoB to prevent cardiovascular disease. The new research suggests that there might be a whole other benefit to reducing apoB. Data from the nematodes indicate that apoB’s evolutionary cousin VIT prevents long life span by impairing the ability of cells to use and remodel fats for healthier purposes. Lipophagy is the process of breaking down large quantities of built-up fats and reusing them for other purposes. The new study showed that the longevity benefits associated with increased lipophagy are hindered by too much VIT. Lapierre’s team, including lab manager and co-lead author Nicole Seah, demonstrated the link directly. Some experiments, for example, showed that the life span benefits of blocking VIT didn’t occur if autophagy was blocked in other ways. They also showed that VIT hinders a related process called lysosomal lipolysis, the endpoint of lipophagy which catalyzes fat breakdown. In mice the team connected this effect to another well-known model of increased longevity: dietary restriction. Many studies have shown that animals that eat less live longer. In this study the researchers showed that calorie-restricted mice produced less apoB. In nematodes, the normal purpose of VIT is thought primarily to involve the transport of fats from the intestine to the reproductive system to nourish eggs and to aid in reproduction. Similarly in mammals, Lapierre said, a purpose of apoB is to transfer fats away from the intestine and liver toward other tissues where they can either be used or stored. “Altogether our data supports a model in which lipoprotein biogenesis prevents life span extension by distributing lipids away from the intestine and by negatively regulating the induction of autophagy-related and lysosomal lipase genes, thereby challenging the animal’s ability to maintain lipid homeostasis and somatic maintenance,” the authors wrote in the study. Of course nematodes and mice are not people, but Lapierre said he is optimistic that these findings could eventually matter to human health. He’s not alone. Other labs are currently investigating the relationships between lipoproteins, autophagy, and life span. “Since we see in the worm that we can extend life span by silencing this protein, we reason that that it could be a promising strategy to prevent age-related disease in humans,” Lapierre said. Earlier this year Lapierre earned a grant from the American Federation for Aging Research to continue his work. His lab group is now looking at the global effects of limiting VIT and apoB in animals. In humans, he said, a major unanswered question is what effect silencing apoB would have on fat remodeling in the liver and the intestine. The new research finds that at least in nematodes, keeping fats in the intestine allows cells to carry out processes that are linked to longer life span. The paper’s other co-lead author is C. Daniel de Magalhaes Filho of the Howard Hughes Medical Institute and Salk Institute. The study’s other authors are Anna Petrashen, Hope Henderson, Jade Laguer, Julissa Gonzalez, Andrew Dillin, and Malene Hansen. In addition to AFAR, the National Institutes of Health provided funding for the study (grants K99AG042494 and R00AG042494). Synthetic biology — which involves engineering biological systems for new uses — has become an increasingly prominent, and promising, field of study in colleges and universities worldwide. In partnership with high school teachers, Kuldell launched the BioBuilder Educational Foundation in 2011 to provide schools with lab kits and lesson plans — adapted from her own MIT curriculum and MIT research labs — to boost interest and innovation in the field. Today, more than 400 teachers in 43 states are using the formal BioBuilder curriculum. Some have also adapted the coursework for middle school students. Many other teachers worldwide incorporate some of the material, which is freely available online, into their lesson plans. Recently, BioBuilder and Boston’s Museum of Science received a National Science Foundation (NSF) grant to develop synthetic biology kits to send to more than 200 other museums around the country next summer. To use BioBuilder, students start off reading comic books and watching animations that present a specific research problem and experiment. Then it’s off to the lab, where groups of students are provided kits to conduct their own experiments. A favorite lab among students, Kuldell says, is called “Eau That Smell,” which involves examining bacteria engineered to smell like ripe bananas at a certain stage of their growth. Students must then modify the bacteria to emit that specific odor at different growth stages. “They do a lot of quantitative and qualitative measurements, start thinking about what data they believe, how to improve the system, and how to better engineer a system,” she says. Many students also enjoy “What a Colorful World,” a lab where students study E. coli programmed to change colors. In it, students must consider how different cellular chassis (structures) might be engineered to control the emitted color, “just as a car’s chassis must be tailored to the engine it will house,” Kuldell says. When the labs are complete, students may share any data through an online portal run by BioBuilder. Kuldell also hosts an afterschool BioBuilderClub for students and teachers around the world, where students can engineer their own biotechnology designs. Students also have the opportunity to present their work to each other and to synthetic biologists throughout the year. This encourages students to really get involved and “own their data,” Kuldell says. Last year, a team of high school students from the Taipei American School in Taiwan used their BioBuilder classwork to engineer an extracellular protein that binds to and inhibits Granzyme B, an enzyme that causes tissue damage. 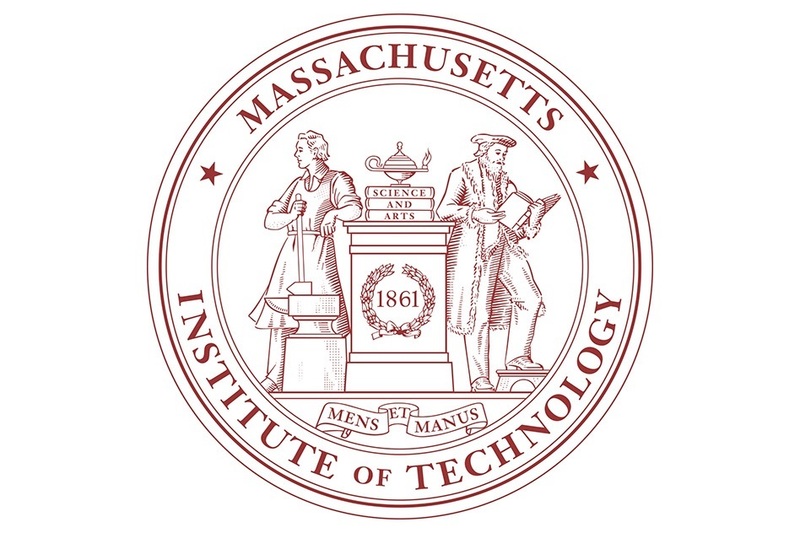 For their project, the students won the grand prize for the high school track at this year’s International Genetically Engineered Machine (iGEM) Competition in Boston, the world’s top synthetic biology competition for college and high school students. At Brockton High School, sophomore Aysha Cheretakis, one of Mangus’ students, has become a founding member of the school’s BioBuilderClub, which is currently engineering an organism to detect Rohypnol (a drug commonly referred to as “roofies”) in drinks, which they hope will be used in crime labs. Cheretakis became interested in synthetic biology after the “real-life laboratory experience” of BioBuilder’s “What a Colorful World” lab. “It’s not just stuff we read out of a book. In the lab we can apply our knowledge to the real world,” she says. The grant funded Kuldell’s partnership with several area high school teachers who came to MIT for summer research. Together they developed an online educational platform for synthetic biology, based on research at MIT and elsewhere. Teachers who were interested in bringing those lessons to their labs and classrooms came to a professional development workshop at MIT and returned to their schools across the nation to pilot the program. Soon the BioBuilder curriculum and professional development program grew in popularity and Kuldell turned to the MIT Venture Mentoring Service (VMS) for support in launching the program as a nonprofit. Among other things, they helped Kuldell form BioBuilder’s successful “training the trainers” model, where high school teachers not only learn the curriculum at workshops but also learn to teach the curriculum to other teachers at their own schools. Next up for Kuldell is establishing a teaching lab for BioBuilder at LabCentral, a shared incubator for biotech startups in Cambridge. BioBuilder recently moved headquarters there, after years of operating out of MIT’s Department of Biological Engineering. The proposed BioBuilder@LabCentral Innovation Lab would help connect students and teachers with entrepreneurs in the area. She also hopes to launch a program there where community college students can fulfill part of a synthetic biology certificate program to help them land jobs at biotech firms. “The same way we make connections with teachers in middle and high schools, we hope to make connections with students to get them from coursework into careers,” she says. An energy supply is important for any undertaking; but in stem cells, energy-producing structures sometimes determine the very fate of the cell. A new Weizmann Institute study, reported in Nature Communications, reveals how cellular power plants called mitochondria can wake up blood-forming stem cells from their sleep, causing them to proliferate and mature into different cell types. Blood-forming stem cells, which give rise to the entire immune system, lie sleeping in niches in the bone marrow. They are continuously woken up to replenish the blood with mature cells, which have a finite life span. The wake-up call can come in the form of reactive oxygen molecules called free radicals, which are produced in the mitochondria as a byproduct of the manufacture of cellular fuel. 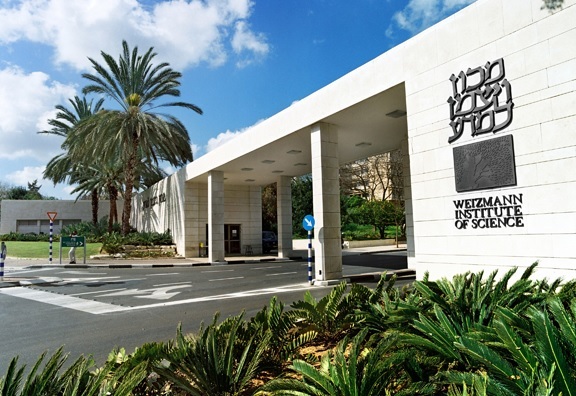 A team of Weizmann Institute scientists headed by Prof. Atan Gross of the Biological Regulation Department has now discovered a mechanism by which the wake-up message is sent to these stem cells via their mitochondria. The heart of the message is a protein known as MTCH2 – or “Mitch,” as the scientists call it – which sits on the membranes of mitochondria and acts as a molecular switch. When Gross discovered MTCH2 more than a decade ago, he and his team showed that this protein can regulate cell suicide: Under conditions of severe stress, “Mitch” conveys a self-destruct message that prompts the mitochondria to develop holes and disintegrate, ultimately causing the cell to die. In the new study, postdoctoral fellow Dr. Maria Maryanovich and other members of Gross’s lab – Dr. Yehudit Zaltsman and PhD students Antonella Ruggiero and Andres Goldman – found that in blood-forming stem cells, MTCH2 has an additional role: It suppresses the activity of the mitochondria for as long as the cells need to remain in their dormant state. When the scientists created genetically engineered mice that lacked MTCH2 throughout their blood system, the mitochondria in the blood-forming stem cells underwent major changes. These organelles more than doubled in size, and their activity increased almost four-fold. As a result, the stem cells became activated, apparently woken from their sleep by the free radicals generated in the hyper-busy mitochondria. The cells left their niches and began to mature in such large numbers that their supply in the bone marrow was exhausted. These findings suggest that enhancing the activity of the mitochondria – by decreasing MTCH2 – can awaken the stem cells when needed. This clever control mechanism of the stem cell cycle – awakening the cells by enhancing their metabolism – ensures that the cells have sufficient energy for growing and maturing. “Like travelers waking up in the morning and stocking up on essential provisions before undertaking a long journey, sleepy stem cells need the energy to survive their new journey after they awaken,” says Gross. “We found that turning on mitochondria metabolism supplies the cells with precisely such energy.” Taking part in the study were Dr. Smadar Levin Zaidman of Chemical Research Support, Dr. Ziv Porat of the Biological Services Unit, and Prof. Tsvee Lapidot and Dr. Karin Golan of the Immunology Department. 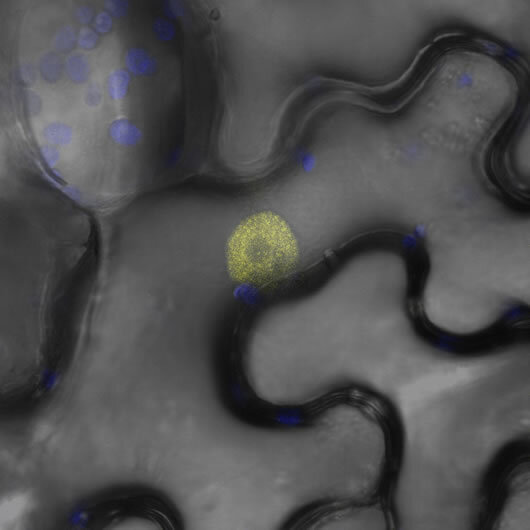 In addition to shedding new light on the basic biology of the stem cell cycle, the Weizmann Institute study may lead to new ways of controlling the activity of stem cells in research as well as in the clinic. The findings suggest that it may be possible to awaken stem cells by altering their metabolism, rather than by manipulating their genes, as is done today. 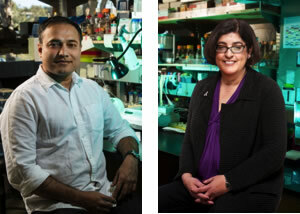 In addition, the findings open up a new avenue of research into leukemia. They suggest that defects in the control of cellular metabolism in blood-forming stem cells at various stages of their maturation may lead to the abnormal cellular proliferation observed in leukemia. If this is indeed found to be the case, it may be possible to treat leukemia by correcting the cells’ metabolic defects. Prof. Atan Gross’s research is supported by the Yeda-Sela Center for Basic Research; the Adelis Foundation; the Lubin-Schupf Fund for Women in Science; the Pearl Welinsky Merlo Foundation Scientific Progress Research Fund; the Louis and Fannie Tolz Collaborative Research Project; the Hymen T. Milgrom Trust donation fund; the Rising Tide Foundation; Lord David Alliance, CBE; the estate of Tony Bieber; and the estate of John Hunter. Prof Gross is the incumbent of the Marketa and Frederick Alexander Professorial Chair.